"Selling property is wonderfully freeing...in one stroke you've transformed your assets into something that better serves your dreams." We make it our business to know your house inside and out. We do caravans to explore new listings, so our agents know the properties we're taking on and can help get the word out. Using photographs, floor plans, surveys, and a property description, we will package a compelling combination of words and images designed to show your home to its best advantage. Your home deserves a spotlight, and that's what it will get in our ads — a focused approach, and strategic placement in regional, national and international publications and websites, as appropriate to your property. While we thrive in Alabama and Tennessee, the internet has expanded our reach, drawing savvy clients from around the world. This website, as well as our presence on the website of a local on-line 'newspaper', athensnowal.com; and the multiple listing service website, valleymls.com help direct prospective buyers to your property. We are an auction and realty company serving the Alabama and Tennessee areas. We've been a part of the Athens and Limestone County community for decades. Our experience, knowledge, and connections in North Alabama is what sets us apart from the rest. 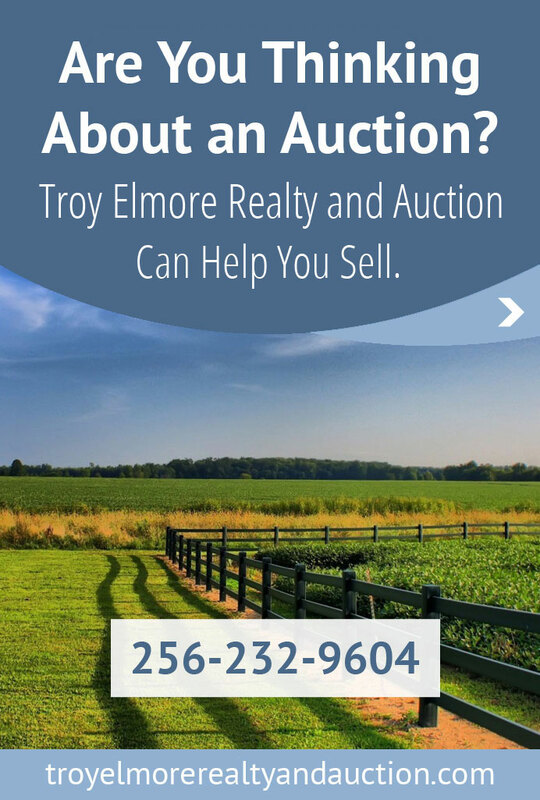 Want the latest news and updates from Troy Elmore Realty and Auction? Subscribe to our newsletter for all the need-to-know info about upcoming auctions and listings. We will never provide your email to others.